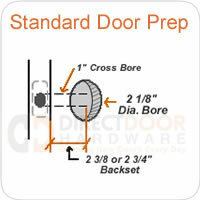 Get the quality Baldwin name at a more affordable cost with Baldwin's Prestige line of distinctive door hardware. 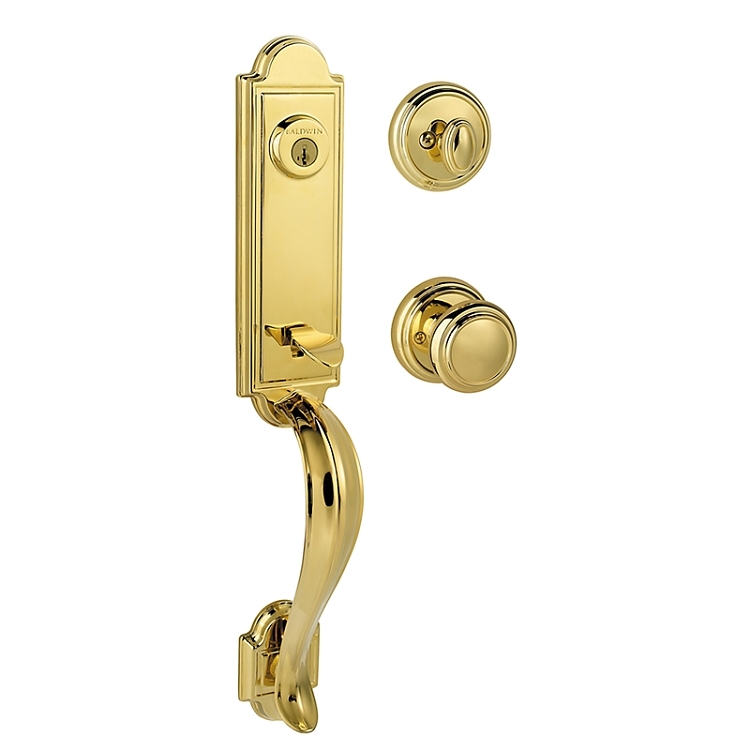 Get a classic look with the Avendale handleset with Alcott Knob. 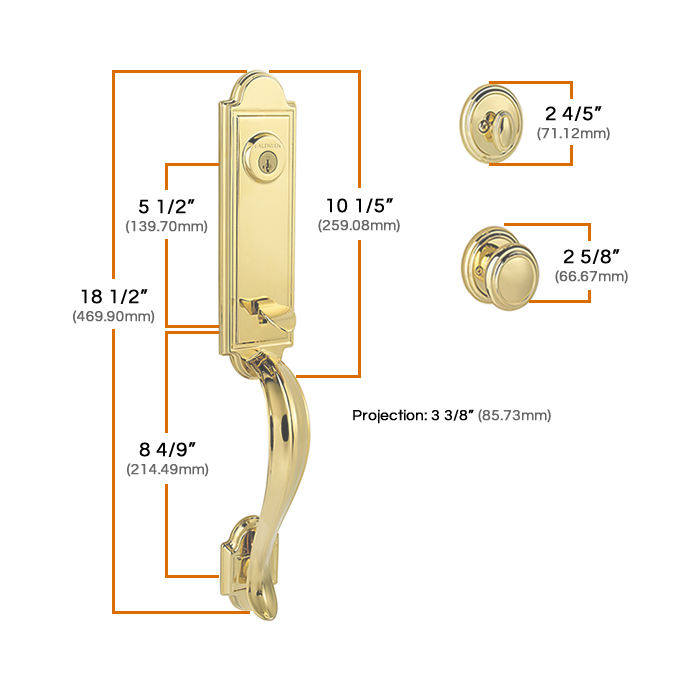 Baldwin Prestige series door hardware uses a Kwikset Smartkey cylinder and can only be keyed alike other prestige series door hardware that use the same cylinder type, or other hardware that happens to use a Kwikset smartkey keyway. Baldwin Prestige series cannot be keyed alike Baldwin Reserve or Estate Series hardware products. - Available in Single Cylinder, Double Cylinder and Dummy function. Single cylinder has a thumbturn on the inside and a keyed cylinder on the outside. Double Cylinder has a key cylinder on both sides of the lock so a key is required to lock or unlock from both sides. Dummy function is typicaly used on the inactive side of a double door - non-functioning set. - Easy to install and comes with adjustable backset latches to fit both 2-3/8" (60mm) or 2-3/4" (70mm) door preps. Product is of high quality and delivered as promised.